The fatwa represented a niche opinion​—millions of observant Muslims accept vaccines every year—but it had the power of politics behind it: The head of the MUI, a religious hardliner, had recently agreed to appear on the ballot with Indonesia’s president when he runs for reelection in April. The ruling had disastrous consequences. Millions of parents in Indonesia refused to allow their children to be vaccinated, and the region of Aceh, which operates under religious law, blocked vaccination teams from entering. Outside of Java, Indonesia’s most populous island, the refusals pushed vaccine acceptance to just 68 percent of eligible children, when effective protection requires 95 percent. In Aceh, only 8 percent of children received the shot. The opposition to the measles vaccine in Indonesia surfaced the same month that the Italian Senate voted to end all mandatory vaccinations for schoolchildren​—for measles, tetanus, polio, and seven other diseases. By October, the occurrence of measles—one of the most contagious diseases on the planet and a widespread cause of blindness, deafness, and brain damage—began rising there. Simultaneously the disease soared across Europe, with 82,596 cases in 2018, compared to 5,273 two years earlier. Measles also crept back in Venezuela, just two years after the Americas had been declared free of the disease. 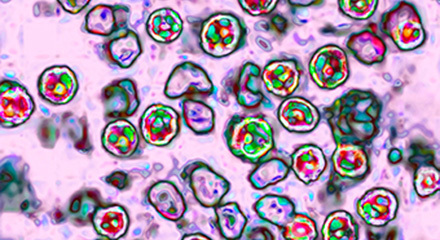 At the end of November, an array of international health authorities—the World Health Organization, the Centers for Disease Control and Prevention, UNICEF, and Gavi, the Vaccine Alliance—jointly warned that measles was surging across the planet. “We risk losing decades of progress,” a WHO official said. The worldwide effort to eliminate measles is not failing because the organism has changed significantly—the virus that infects a child today is largely the same one that sickened children 100 years ago—nor because the vaccine is faulty. Measles cases are multiplying across the globe for the same reason that the international campaign to eradicate polio has stalled, and that Ebola outbreaks continue, and that opportunistic new diseases like Zika take us by surprise: a rise in nationalist politics, which is causing countries to turn inward, harden their borders, and distrust outsiders. One hundred years after the influenza pandemic of 1918—the worst outbreak in recorded history, which killed as many as 100 million people by some estimates—the assumption that every nation owes an investment in health to every other nation no longer holds. As nativist appeals undermine public health systems and cooperation among countries degrades, the potential for catastrophe increases. We are always at risk of a new disease breaking out, or a previously controlled one surging back. What’s different now is that the rejection of scientific expertise and the refusal to support government agencies leave us without defenses that could keep a fast-moving infection at bay. Pathogens pay no respect to politics or to borders. Nationalist rhetoric seeks to persuade us that restricting visas and constructing walls will protect us. They will not. Distrust of expertise, suspicion of immigrants, shunning of international cooperation—these all describe nationalist movements in Africa and Europe. But the place where official attitudes toward global public health have changed most sharply is the United States during the presidency of Donald Trump. It’s difficult to convey just how great the change has been over the past two years. The Obama administration wrote the first national strategy to tackle antibiotic resistance in 2014, launched with an executive order and a summit at the White House; created the Global Health Security Agenda, which drew 64 nations into a partnership to advance public health; and oversaw the largest foreign deployment of the CDC in the agency’s history, to the 2014–2016 Ebola outbreak in West Africa—which was accompanied by an emergency appropriation of more than $5 billion. The Trump administration has abandoned such commitments. Trump’s first budget proposal included sharp cuts to the CDC, the National Institutes of Health, and the Environmental Protection Agency, which is responsible for addressing the health problems caused by climate change. The final budget passed by Congress reinstated much of the funding for these agencies, but Trump’s next budget proposal a year later included further cuts to health and science. Beyond the budget cuts, Trump also drastically reduced the scale of the CDC’s overseas outbreak-prevention work from 49 countries to ten and attempted to eliminate $252 million in funding left over from the Obama administration’s appropriation for Ebola. 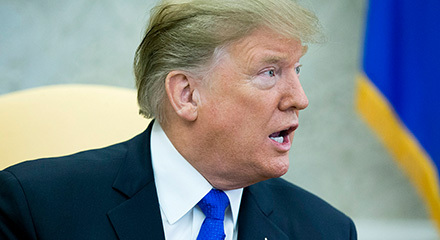 Moreover, Trump dismantled the National Security Council’s global health security team, leaving the United States with no clear channel to respond to global health threats. The Trump administration’s dismantling of public health protections should come as no surprise. In the summer of 2014, shortly after the start of the Ebola outbreak, Trump—not yet a candidate—demanded that the United States close its borders against the disease. “Keep them out of here,” he tweeted about American missionaries who fell ill in West Africa. “Stop the Ebola patients from entering the U.S.” and “The U.S. cannot allow Ebola infected people back.” In July 2015, a month after he declared his candidacy, he made an explicit association between immigrants and disease in a statement about his views on Mexico. “Tremendous infectious disease is pouring across the border,” he said. Nationalist politics has led to a massive measles outbreak in Europe. But nationalists who blame immigrants for bringing illnesses across U.S. borders are looking in the wrong place. A two-year project headed by University College London and The Lancet, published in December, found no evidence that the arrival of migrants endangers a nation’s health. (In fact, because migrants often go to work in medicine and as personal care attendants, they typically enhance a country’s health.) The more likely Patient Zeros are the people who are neither suspected nor checked: the citizens, legal residents, businesspeople, and tourists—227 million just in 2017—who fly unimpeded between the United States and other countries. The legal movement of people, and the shipment of food and freight, have already transported dangerous pathogens into—and out of—the United States: highly drug-resistant gut bacteria in a child returning from the Caribbean to Connecticut; treatment-resistant TB in an attorney who caught the disease in the United States, traveled to his destination wedding in Greece, and then returned home to Atlanta; foodborne illness on spices grown in Asia and mixed into charcuterie in Rhode Island. In fact, migrants remanded into federal custody at the U.S. border seem likely to be facing graver health threats than the ones they would have encountered in their home countries. “I don’t hear much about efforts in the tent cities we’re building on the border to ensure that everyone’s got access to clean water and clean food and adequate ventilation to prevent transmission of respiratory disease,” said Peter Jay Hotez, founding dean of the National School of Tropical Medicine at Baylor College of Medicine. In December, two Guatemalan children died in Border Patrol custody. This is the perverse legacy of nationalism in power: By stigmatizing immigrants and segregating them, xenophobia can turn the lie of the “dirty foreigner” into truth. The Trump administration’s neglect of America’s public health infrastructure is risky twice over: It courts outbreaks at home, and it weakens commitments that the United States—in fact, most governments—have made to public health around the world. The immediate aftermath of World War II saw a great upsurge of international collaboration on public health. The World Health Organization was founded in 1948, and an intensive multinational effort to eradicate smallpox—one of the deadliest killers in history—began in 1967. Leaders of the new global health regime developed complex surveillance systems and vast vaccination campaigns that they shared across borders. Their efforts soon met with success: Smallpox was declared eradicated in 1980, the first time in history that a deadly disease was effectively eliminated, and rinderpest, a cattle disease, followed it to extinction in 2011. The nationalist upheavals occurring across the globe now signal a potentially disastrous retreat from that confident cooperation. Before the present crisis, we had ample warning that nationalist disputes could ruin public health achievements. Consider one instructive augur: Back in 1988, a punishing conflict broke out between two Soviet republics—Armenia and Azerbaijan, whose Nagorno-​Karabakh region voted to unify with Armenia. The war ruined the economies of both, impaired their public health systems, displaced more than one million people​—and led to the return of malaria, which a strict Soviet mosquito control program had suppressed for 50 years. By 1996, two years after the conflict ended, the number of malaria cases in Azerbaijan had surged to 13,135. The number of cases in Armenia peaked at 1,156 in 1998. It took more than a decade of eradication efforts—an aggressive program of spraying for mosquitoes and hunting down swamps and pools of stagnant water where the insects breed—to get the disease back under control. Malaria was not banished again from Armenia until 2011. Azerbaijan was declared malaria-free in 2013. The Armenian-Azerbaijani conflict set an ominous precedent. The same year the former Soviet republics launched hostilities, global health officials announced a campaign to permanently contain the spread of polio. 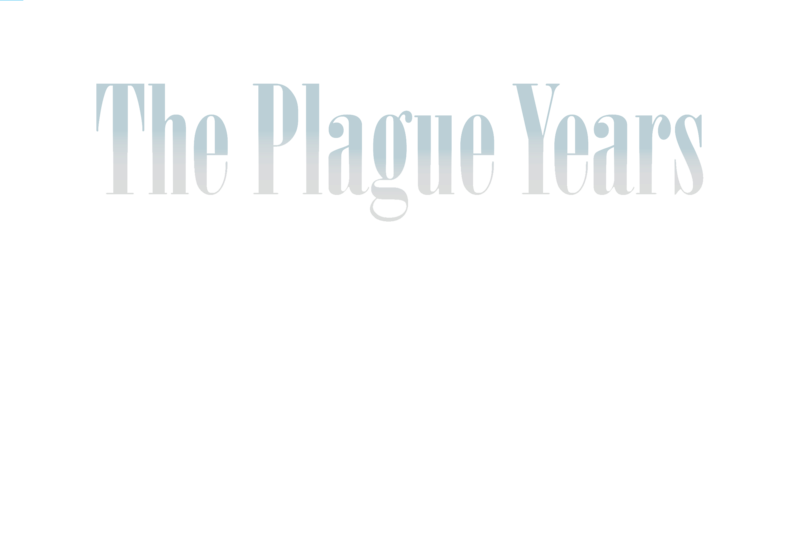 Scientists confidently predicted that they would end transmission of the disease by 2000. It was a worthy goal; polio had mostly been chased from the Americas—the last case was in 1991—but was still paralyzing 350,000 children a year around the world. However, the campaign to destroy polio also proved a collateral casualty of nationalist unrest. In 2003, Muslim religious leaders in Nigeria, which then harbored 45 percent of all polio cases in the world, declared that the vaccine was religiously unacceptable, halting vaccination efforts in three states where the disease was clustered. The move was nominally doctrinal—based on the same concern over vaccine ingredients that arose in Indonesia last year—but actually political. National elections had just transferred the center of power from a longstanding military regime with roots in the Muslim-majority north to a democratic one originating in the Christian-dominated south. Jockeying in the aftermath stirred up rumors and conspiracy theories—including some alleging that the polio campaign, led by Western nations, had deliberately contaminated the vaccine in a plot to wreck the fertility of Muslim girls. Only intensive diplomacy from other African and Islamic countries brought the disaffected states back into line behind the anti-polio campaign. But the new accord came too late; polio surged back. By 2006, Nigeria harbored four out of every five polio cases left in the world, and the disease had spilled across its borders to infect almost 1,500 children in 20 countries that had previously vanquished polio. Thanks to the worldwide movement of observant Muslims during the annual hajj, the Nigerian strain was carried to Saudi Arabia. From there, it spread as far as Indonesia. 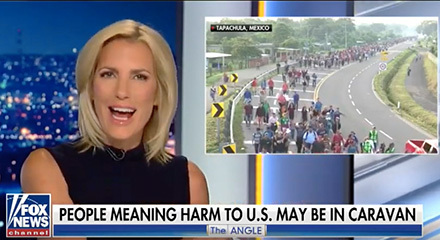 Trump and his supporters on Fox News have spread the false idea that immigrants are carrying infectious diseases across the U.S. border. In fact, immigrants typically pose less of a health risk to the American public than other U.S. residents do. And polio is still not done. After pushing back the target date for eradication several times, the international campaign adjusted the time line yet again in January, extending it through 2023 and warning that even that goal may prove elusive. Wild polio virus remains entrenched in just two countries, Afghanistan and Pakistan, but vaccine-derived virus—a condition arising from a mutation in the vaccine strain and spread by low rates of vaccination that leave children vulnerable​—persists in Nigeria, the Democratic Republic of Congo, Mozambique, Niger, Papua New Guinea, and Somalia. In January, several groups that are part of the 31-year-old campaign to eradicate polio urged the international community to push harder toward achieving their goal. “This is an effort that cannot be sustained indefinitely,” they warned. Undermining public health doesn’t require the involvement of a religious authority. Political disruption will do. That’s visible not just in the United States, but also in the increase in depression and chronic illnesses in eastern Ukraine, where about 1.5 million people have been displaced by ongoing tensions with Russia; the rise of antibiotic-​resistant bacteria in war hospitals in Yemen; the collapse of the health care system and spikes in infant mortality in Venezuela; and the staffing crisis in the British health care system triggered by the Brexit vote to withdraw the United Kingdom from Europe. Perhaps the starkest example of how nationalist politics systematically undermines public health comes from Italy. Giuseppe Conte’s recently elected right-wing government acted with swift dispatch to target the country’s mandatory child-vaccination program. The reactionary Five Star Movement included opposition to vaccines in its campaign platform; after it won almost one-third of the vote last March, it formed a government with the far-right Northern League. One of the new coalition’s earliest official acts was to suspend the requirement that parents present proof of vaccinations against ten childhood diseases before their children can be enrolled in school. No matter where it has surfaced, the nativist assault on public health is gaining traction—and as it does, protections against deadly diseases weaken. The world is interconnected—by legal travel, by the flow of refugees and migrants, by goods and commerce, by the movement of animals and water and air. Any of those channels can carry diseases. None of them has ever successfully been blocked. The only defense is to shore up public health, not destroy it. We are all holding the safety net for one another, and when we let it drop, none of us is safe. America’s turn toward nationalism does not make the country stronger or safer; rather, it makes the nation more vulnerable to global health threats. Already, Trump’s xenophobic policies have begun to drive even those who have entered the country legally away from public health programs. In November, the nonpartisan organization Children’s HealthWatch reported that for the first time in ten years fewer families of legal immigrants were using food stamps, otherwise known as the Supplemental Nutrition Assistance Program—a government benefit they are legally entitled to. That finding bore out a 2017 report from San Francisco that new applications to California’s food stamp program were declining, while families already legally enrolled in the program were dropping out. Most common health issues among members of the migrant caravan: lice, chicken pox, respiratory infections. Number of major disease outbreaks on the U.S.-Mexico border since Trump’s election: zero. The California research and the national study both blamed the drop in legal food stamp use on immigrants’ fears that the government would target them for using a public program. The Trump administration lent credence to such fears in a policy announcement last September: If people seeking U.S. residency used public assistance programs, then Citizenship and Immigration Services would score that against them when their applications for green cards came under review. Afterward, organizations working with undocumented immigrants said the rule change was having a broader chilling effect—as it was likely designed to do. The nonprofit Fiscal Policy Institute estimated that 24 million legal residents, including nine million children, would be affected. The rule change reaches beyond anti-hunger programs to threaten the immigration applications of people using Medicaid, which guarantees health care to low-income residents, and Medicare Part D, which helps make prescription drugs more affordable. The move drew forceful protests from a wide array of medical organizations, including the American Academy of Family Physicians, the American Academy of Pediatrics, and the American College of Physicians. They said the rule change would keep adults and children from seeking care they need, either to keep from getting sick or after they had fallen ill, making them more expensive to care for. That could mean, for instance, that a woman with a breast lump or a man in the early stages of heart disease might postpone getting checked out at a point when such conditions could be treated with less expense and risk. But it might also mean that both legal and illegal immigrants would avoid getting treatments such as flu shots or childhood vaccinations that would help prevent the spread of infectious diseases. In other words, Trump’s new policy would not only deprive visa applicants and legal residents of protection. By driving victims underground, it could turn them into an unwitting vector that could spread disease back to people who think they have made themselves safe by forcing immigrants away. Last year, Inglesby’s group at Johns Hopkins ran a daylong simulation of the world’s likely response to the outbreak of a fictional previously unknown pathogen, one for which there would be no diagnostic test and no vaccine. In a finding that grimly foreshadows the risk of repudiating the protection of public health, Inglesby’s team recorded a worldwide death toll of 150 million, including 15 million deaths in the United States. Maryn McKenna is a journalist; the author of Big Chicken, Superbug, and Beating Back the Devil; and a senior fellow at the Schuster Institute for Investigative Journalism at Brandeis University.